Intuition development is speeding up. 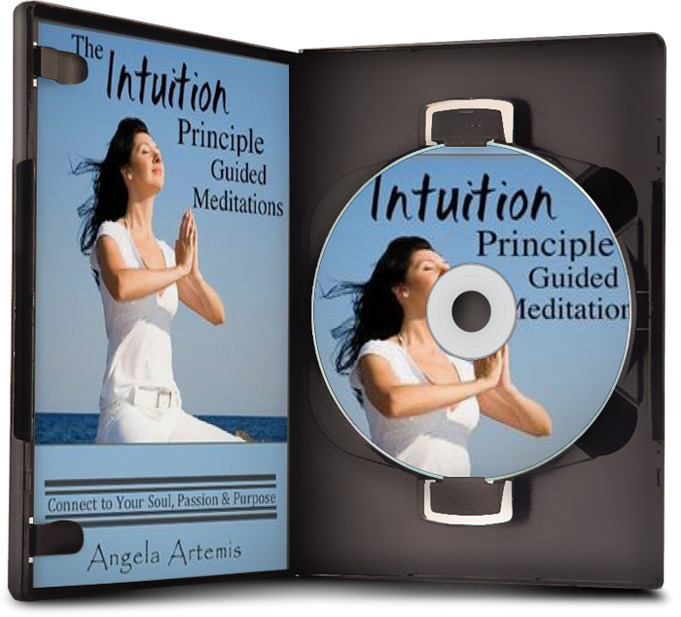 Do you have a desire to develop your intuition? Do you sometimes get feelings about people’s character or emotional state? If so, you are part of a growing number of individuals whose intuitive abilities are opening up at this time. Humans are evolving and our consciousness is expanding as we enter a new era in our collective history. This new era, which is being referred to as ‘The Intuition Age,’ is one in which humankind will begin to open to spiritual energies en masse. We will see more and more people developing an awareness of the psychic and spirit realms at this time than ever before. In the last few years, the energy of this new age has already begun waking up those who are sensitive to vibrations. It’s hard not to notice that an increased awareness of the topics of meditation, psychic and intuitive development and mediumship has infiltrated society. Not long ago, only a small segment of the population was interested in these subjects but, these topics are now becoming main stream. It’s as if someone switched a light on and those who were in the dark are “seeing” for the first time, the spiritual landscape that has surrounded them all their lives. As more people become aware of their connection to the spiritual realms a huge shift in consciousness will take place. The higher vibration of our collective consciousness will quicken the vibration of those who have yet to open up to spirit and speed up the process of their awakening. This en masse spiritual awakening heralds a change away from the aggression and violence we accept as normal in our society today to a culture of greater understanding and compassion. The reason our culture will change is because the process of opening up psychically and intuitively is also the beginning of a process of spiritual growth and development. People who are initially drawn to develop psychically will realize years later that the process led them to open to their true spiritual natures. We are being drawn to develop our intuition at this time to receive direct guidance from the Universe. Intuition is the language the Universe uses to communicate and guide us. We must learn to listen for this guidance so that we will hear the instructions the Universe is sending us about how we can each play a role in healing the Earth, be of loving service to the world and find and follow our true path in life. If the intuitive centers open too quickly you may find yourself overwhelmed at the outset. It’s one thing to unfold to intuitive development slowly and naturally over a lifetime but, to open up suddenly can be a shock to the system. Suddenly becoming clairvoyant and “seeing” things or “knowing” things you couldn’t possibly have known before or “hearing” guidance if you’ve never had this happen before can be upsetting and frightening. There is also the possibility of misusing these abilities. It’s very important to have been working on your spiritual growth previously so that you are able to keep your ego from taking over when you suddenly find yourself a psychic receiver of information about the people and situations around you. If the ego takes over and sends you on a “power trip” not only will you be misusing these abilities but, you will also amass a great deal of Karma that will have to be repaid at some point, whether in this life or another. Learning to live in balance with these new abilities in order to remain humble and an open channel for spirit to flow through in order to be of loving service to mankind is vital. You need to prepare yourself for what will be happening to you ahead of time so you aren’t knocked off your equilibrium when the process begins. Begin practicing these five steps now to avoid being overwhelmed and losing control to the ego when the speedy development of your intuition occurs. 1. Start meditating. Make it a habit and practice every day. Prepare yourself for the added stress of dealing with the coming changes by learning to meditate. Focus on being a channel for the Universe to flow through in order to direct you to how to share your gifts to help mankind. 2. Learn to connect with your guides. Knowing how to tune into the energy of your guides now will help you when you are undergoing changes and need some stability. It’s much easier to hear the guidance of the Universe when you’ve developed a rapport with your guides. These spiritual helpers are dedicated to assisting you with your spiritual growth. 3. Begin your intuitive training now. Learn how to discern the intuition’s voice from the voice of your ego. It’s sometimes very hard to know the difference between the voice of your ego and intuition. Practice now before you’re in a bind and need a quick answer. The ego can be quite a trickster and convince you that it’s okay to use these abilities in order to appropriate power. Avoid this by learning to know the difference in the two voices. 4. Pay attention for signs. Signs are everywhere if we only learn to expect them and look for them. You can even ask for signs to be sent to you to help verify that you’re on the right path in life. Once your intuition is heightened you’ll want to know what you should be doing with it to be of loving service to the world. Signs are an excellent way to learn which direction to follow. 5. Make an effort to remember your dreams. Dreams are the simplest way to receive intuitive guidance. You can ask a question before bed and program your dream to answer it. If you set the expectation that you will get an answer and that you will remember you dream – you will. Learn to hear this guidance and you will never feel lost, overwhelmed or end up accidentally misusing these abilities. Our intuition is here to guide us so that we gain the right earthly experiences by being of service while we are in our current incarnation. 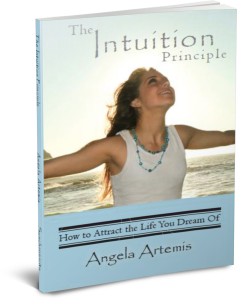 Have you become aware of a desire to develop your intuition recently? Have you begun getting feelings or sensing things about people and situations? How do you see yourself using these abilities to be of service your fellow man? If you enjoyed this article please share it on FB, Twitter and G+. Thank you! P.S. If you’re new to PbI subscribe to my newsletter and updates and receive my the first chapter of my new book as a thank you! I love you! Your writing flows like a river with a soft wind. You ooze with profound and common sense advice. If we lived in the American Native Indian culture, your thoughts would be the norm. Knowing that nothing happens by accident is a gift that can be used every day. Signs are available to everyone if they open their eyes and have faith that what they experience/see/hear is not ‘synchronicity’ or ‘luck’. My dream/wake state is a time when I am very open to receiving and understanding Divine communications. And it seems like the more I openly receive, the more messages and signs I notice (whether it be through dreams, visual, audio, words from others, animals and even through numbers). This New Age is very much real and I am very fortunate to have opened up to it. It’s so nice to see you. I hope you’re well. I agree too. The New Age is real and we are so fortunate to be alive at this time. Meditation has been so helpful to me, to just quiet everything down and really listen to myself. I have very vivid dreams almost every night, so will try setting an expectation to get an answer when I have a question. I also like your suggestion about paying attention for signs. Thanks. I’m so glad that you found this post useful. You can tap into the wisdom of higher intelligence effortlessly through dreams. Ask for the answers to come to you and they will! How is your book coming along? New book by Napoleon Hill “Outwitting the Devil” Written in 1938, published now for the first time. He talks about listening to our “other self.” Intuition! The book is done. I’m waiting for it to come back from the style editor. I love Napoleon Hill. He’s one of the greats for sure. Wow, I’m going to have to check out this book. How fascinating. I think dreams are pretty miraculous. They allow us to connect to higher intelligence with such ease! Thank you so much Sheila. I’m so glad you enjoyed this post. Great post. I second your #2 (excuse the pun or whatever that is.) I didn’t expect it but it was when I learned to channel, i.e. 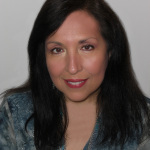 connect with guides, that I found all my intuitive senses were so much more open, it was astonishing! I also agree with the meditation suggestion and find it’s slightly connected with dreaming (for me). When I first learned to meditate (I won’t even say how many years ago lol) I suddenly remembered all my dreams automatically. I could go on but will stop here. Very enlivening and encouraging post, thank you! I’m glad you like tip #2. Meditation and heightened dream recall are certainly related too! I’m so glad you stopped by and liked the post. This is good news! We need more people who are interested in the connection to the spiritual realm. I can’t say that I’m super intuitive…, but then I haven’t been practicing # 4 & 5. Awesome post -thanks! I agree. We do need people to evolve more spiritually and become a little less enamored of materialistic pursuits. I’m glad you’re practicing #4 & 5. Glad you enjoyed the post too. Character is very important to me and I always get a sense of the true character of people I interact with. It is not something I do consciously, but the little things that people do might trigger something in me intuitively because it reveals much about them. I also pick up feelings from others easily and have to make an effort not to get overwhelmed because I am like an emotional sponge. It used to be worse when I was younger and lacking in control, but today, I have no more problems with it. Indeed it is as you say, this is the Intuition Age. Everywhere we look there is some reference to meditation, psychic and intuitive development. But as you say, with great power comes great responsibility. We need to be careful about how we use our intuition especially if we are discovering the full extent of our awakening. 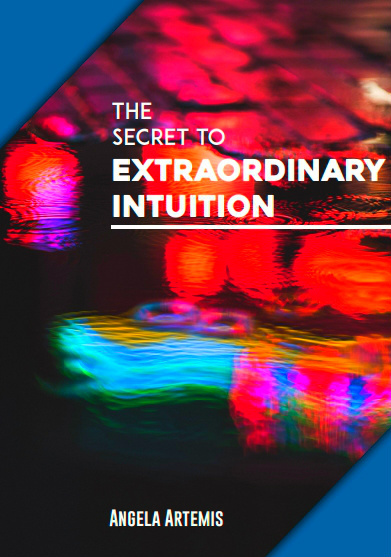 I love the 5 steps you have listed to help us to harness our intuition better. Meditation and intuitive training is definitely important since it helps us to manage our intuition better. I have also found that it personally helps to nourish our minds through personal development. If we realize the need for balance and responsibility and make it a part of our daily lives, through the things we read, watch and listen to, we are less likely to go astray. Thank you so much for adding such a well thought out comment here. You always bring such wisdom to the table. You’re right though it’s hard to throw a stone these days and not hit a reference to meditation, yoga or intuitive development somewhere. We do need to realize that these abilities are natural and not supernatural at all so, that those of us who have developed them more should not feel that we are superior in any way to someone who hasn’t. I’m good at asking for and seeing signs. Sometimes I wish I didn’t see and know so much. Yet it has taught me to be a more compassionate person. Being so aware of signs is a testament to your powers of observation, for sure. I understand what you mean. If you’re aware of signs in your own life you’re also aware of signs in other people’s lives. Sometimes people are heading in the wrong direction and there’s nothing you can do about it. You’re such a pleasure and so fun to have over for a visit at PbI! I’m so glad to hear that you’re doing the steps already. Meditation is the KING and the key to intuition development, for sure. I hope that I replied “appropriately” to your comment! I was born this way and I didn’t understand what it was. The funny thing is that the older I get the more aware and sensitive I am to the energies around me. The ego will lead us to what it thinks is right as to where intuition leads us to where it knows that it is right. If we have the desire to be more open to the vibrations around us we will be. If you weren’t interested in being more intuitive – even though you were born this way – it would fade. This awareness would recede. I couldn’t agree more. Intuition knows while the ego only thinks it knows. Great quote Justin! I must spend the time to meditate.Being aware internally & externally I find comes from being calm….. & excited at the same time. You soo hit the nail on the head here with your excellent comment. We will never hear our intuition if we’re in a state of panic or upset. We need to be calm and the chatter in the mind to be settled down – then we’ll definitely hear our intuition when it has a reason to come through. I love that # 3 tells us to think of intuition in terms of training. You’ve said it before – but it’s often misunderstood – we can build our intuition and train ourselves, yet many people believe it’s something your either born with or not. I also love the suggestion to look for signs – sometimes we need to pay a bit more attention. I’m glad you enjoyed this post. I think we can use fun exercises throughout the day to train. It doesn’t have to be really serious to be effective. I love to get on the phone with people and allow my mind to see what they’re wearing or what room they’re in. It’s a fun way to keep your intuition/remote viewing sharp. Watching for signs is also fun and easy. Intuition should be fun! I do have a desire to further develop my intuition. First, it has never led me wrong. Second, I haven’t been listening to it as attentively as I need to. The steps you have provided give a clear path for me to get back on track and receive divine guidance. I’m so glad you have desire to develop your intuition even further. It really is a very practical skill to have. I’m so glad you found the post helpful too. I recall a time not too long ago when I have had no idea that I had an intuition to begin with. Back then, I was so disconnected. I have since learned a great deal and would like to continue developing my connection and awareness. Your Step 3 is a very important one. The trap of the ego is one of the most fundamental things to be mindful of as one goes about developing intuition. I have seen a number of individuals on power trips after discovering that they are highly intuitive. They believe that they have “special abilities”, thus claiming that they are more evolved than others. What are your thoughts on this? That’s exactly why I put that in there. I think we are all intuitive and it’s a matter of development. I think it’s like learning to play the piano. Anyone can learn if they put their mind to it but, some people may be virtuosos while others may just be good enough to enjoy playing the piano. I don’t think people who are more intuitive are more highly evolved either. They may be more sensitive to vibrations but, again, with practice everyone can become more attuned to these same vibrations. I think we should try to remain humble and always remember that we are merely the channels for this information. Great question Evelyn! “Make an effort to remember your dreams.” I cannot agree more. For many people, it is through our dreams that our guides and higher self speaks to us — often before our intuition speaks to us with intensity in our waking lives. For me, I started having prophetic dreams and once I started keeping a dream journal, my intuition and vibration in my waking life increased as well. Thank you so much for bringing this up. What an important point you make that I left out. Dreams are the simplest way to receive guidance and often as you state – it is one of the first signs that we get that we are opening up intuitively. Thank you so much for your wonderful comment.